Lovely neat black slingback high heels with a peep toe which features a delicate fabric multicoloured rosette over the toe. 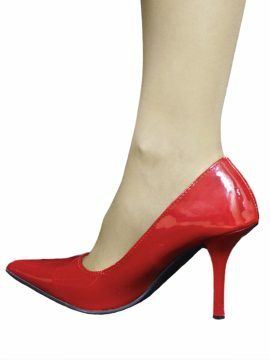 The shoes have a 4.25in stiletto high heel and single sole. By Lunar. 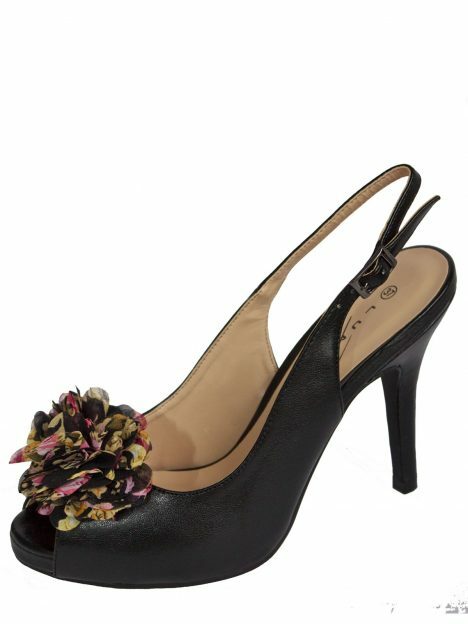 Very neat black slingback high heels which have a peep toe with a delicate multicoloured rosette. Quality shoes from Lunar. High heels that are lovely for smart wear with spring/summer outfits – or any time of year.